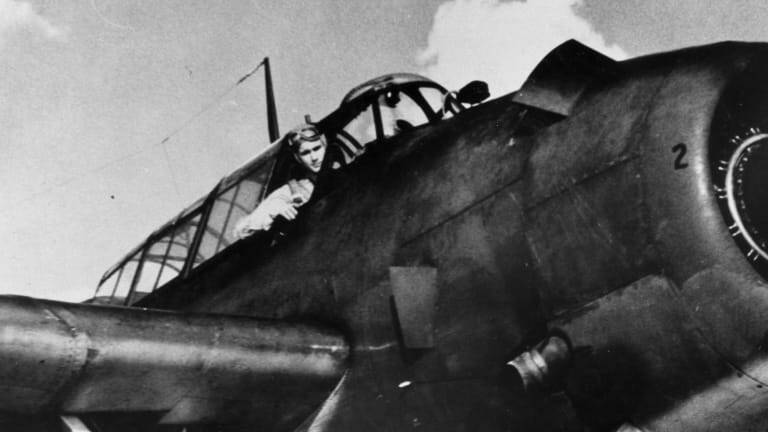 World War II pilots were shot down at an alarming rate—including Bush. 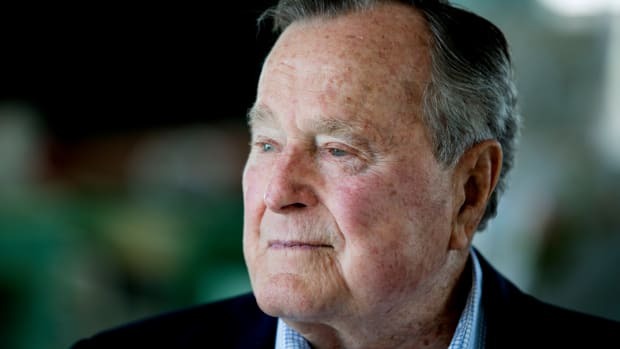 With the wings of his plane on fire and smoke pouring into the cockpit, future President George H.W. Bush parachuted into the Pacific Ocean, where he floated for hours on a life raft, vomiting uncontrollably and bleeding profusely from his forehead. Still, Bush could count himself among the lucky ones. Rescued from the water by a U.S. submarine, he managed to avoid the grisly fate suffered by so many airmen during World War II, including his two crewmates, who both died in the attack. 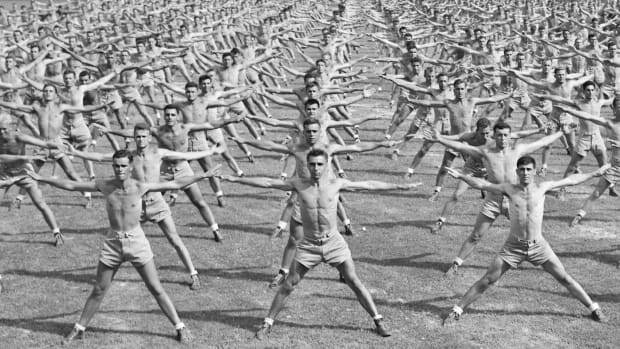 Soldiers who fought in World War II, the deadliest conflict in history, performed any number of risky jobs. Of these, few, if any, were as perilous as flying in an airplane. “It’s a very dangerous environment even without the combat,” says Jeremy Kinney, World War II curator at the Smithsonian National Air and Space Museum. He points out that, without the pressurized cabins of today’s aircraft, airmen had to wear oxygen masks and worry about staying warm. Richard Overy, author of numerous World War II books, including The Bombers and the Bombed: Allied Air War Over Europe, 1940-1945, adds that technical problems were “common on aircraft mass-produced and not always properly checked,” and that inclement weather and pilot error likewise caused plenty of accidents. Thousands of U.S. warplanes never even made it to the front, crashing instead during training or in route to combat. 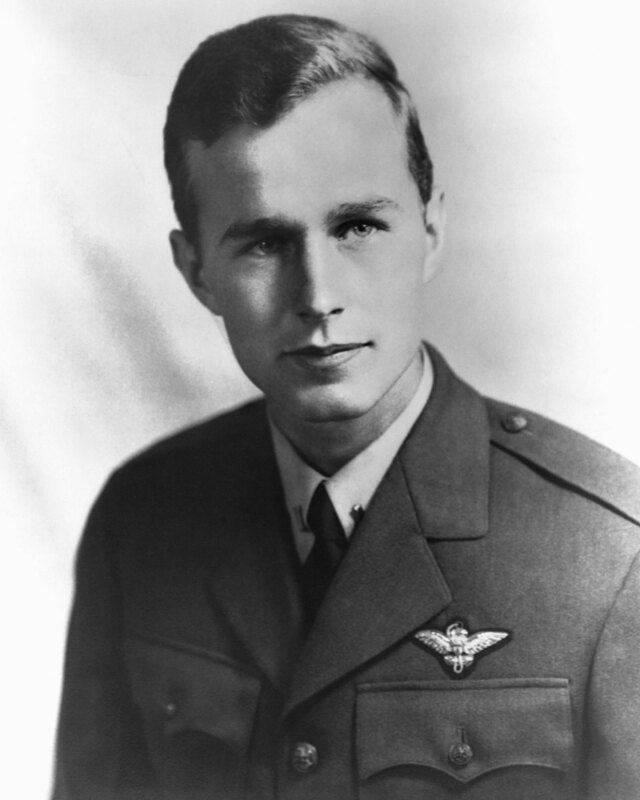 Bush himself crash-landed during a practice bombing run in Virginia, emerging unscathed despite totaling his plane. Later on, Bush witnessed a fellow pilot panic and smash right into an aircraft carrier’s landing crew, showcasing how pilot stress and fear could turn deadly, even in a non-combat situation. 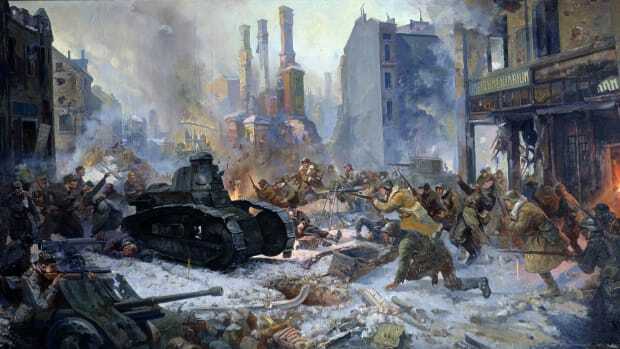 The fighting, of course, also took a harsh toll on airmen, who confronted anti-aircraft fire from below and fire from enemy planes in the sky, with only a razor-thin hull to protect them. Overall, about 100,000 U.S. airmen died in World War II, representing nearly one-quarter of total U.S. fatalities. The material costs of maintaining an air force were likewise astronomical, with the United States losing almost 100,000 of its 300,000 planes produced during the conflict. 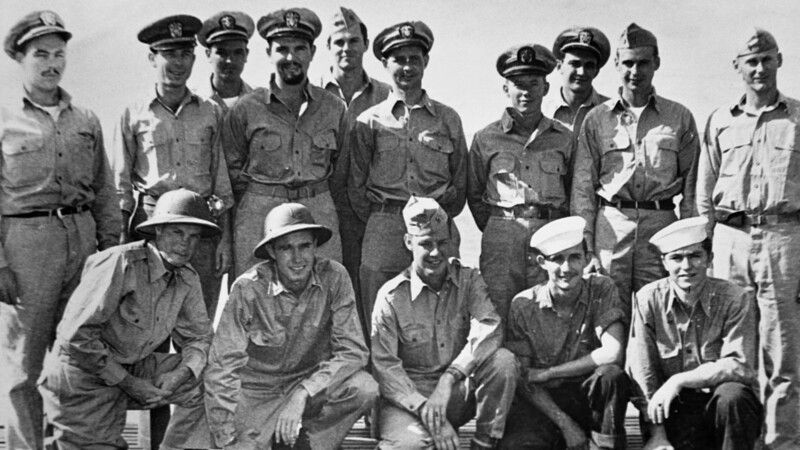 A portrait of the officers of the USS Finback and some U.S. Navy pilots and crew rescued by the Finback. Kneeling second from the left is George Bush. Yet as bad as it was for the United States, it was even worse for other countries. Britain’s Royal Air Force Bomber Command, for example, lost almost half its aircrew in World War II, whereas, on the Axis side, hundreds of thousands of German and Japanese airmen were killed. Overy explains that Axis air casualty rates were especially high toward the end of the conflict, when the Allies dominated the skies. For all countries in the conflict, Overy says, about 25 percent of pilots would be killed or seriously injured each month in peak combat, and in some battles the loss rate reached as high as 40 percent. Bush dropped his four 500-pound bombs on the target, a radio facility, and subsequently bailed out over the ocean, though not before bonking his head on the plane’s tail and ripping part of his parachute. His travails continued once in the waves, as jellyfish stings and swallowing too much seawater rendered him nauseous. Nonetheless, he managed to swim to a life raft and remain afloat until a U.S. submarine eventually rescued him. George Bush being rescued by the submarine, the U.S.S. Finback, after being shot down while on a bombing run of the Island of Chi Chi Jima on September 2, 1944. 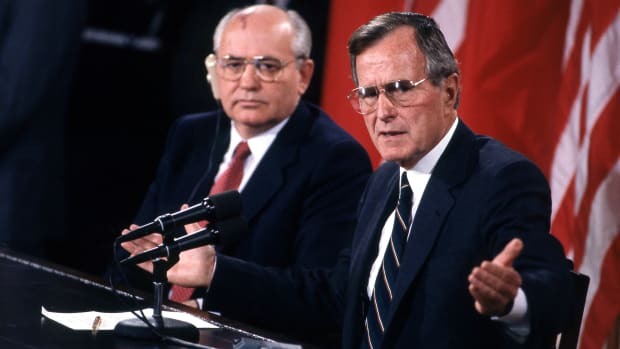 Historians agree that airmen like Bush—not to mention actors Jimmy Stewart and Clark Gable, future U.S. senator and presidential candidate George McGovern, and New York Yankees infielder Jerry Coleman, plus hundreds of thousands of non-famous participants—played a vital role in winning the war. To this day, airplanes remain a key part of how wars are waged, though as Kinney points out, the scale and scope (and danger) of World War II’s air battles has not since been matched. 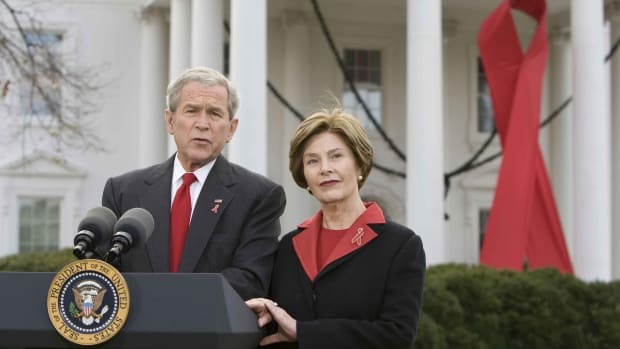 What Was George W. Bush’s Greatest Achievement?